Fifty-five-year-old Jupiter Miller died this date, February 22nd, in 1851 and was buried at Bethel Burying Ground. Fifty-five-year-old Jupiter Miller died this date, February 22nd, in 1851 of unknown causes. The 1847 Philadelphia African American Census reports that Mr. Miller was a “paralytic” which was likely due to a stroke and heart disease. In 1847 he lived on Mulberry Street (now Arch Street) between 5th and 6th Streets, in the shadow of Independence Hall, with his spouse, two of his adult children and what appears to be two grandchildren. The family of six lived in one room 12’x12′ for which they paid 75 cents a week. The adults worked as a woodsawyer, day worker, and rag sorter. Mr. Miller’s occupation was listed as “laborer” in the 1830s Philadelphia city directories. The 1847 Census reports that one of the older grandchildren stayed at home and cared for Mr. Miller while the other adults went to work. The 1838 Philadelphia African American Census shows that the family attended religious services at Bethel A.M.E. Church at 6th and Lombard Streets. The congregants of Bethel were caring people. They had numerous charitable societies that focused on the poor, the sick, orphans and widows. The two oldest groups were the United Daughters of Tapsico, a mutual aid society for sick members founded in 1837, and the Union Benevolent Sons of Bethel, a burial aid society founded in 1826. The Sons served as caretakers of the Bethel Burying Ground plots. Hopefully, these groups provided aid to the Miller family. Out of surviving Board of Health records, Jupiter Miller is one of thirty-two individuals with the family name of “Miller” who are buried at Bethel Burying Ground. Chronologically, he was the last one to be buried there in 1851. 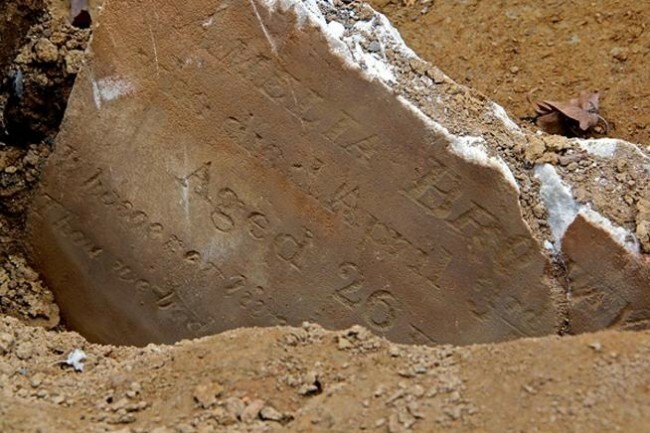 ← Thirty-seven-year-old Mary Parker died this date, February 19th, in 1846 and was buried at the Bethel Burying Ground.